Felton Woodpeckers baseball team ca. 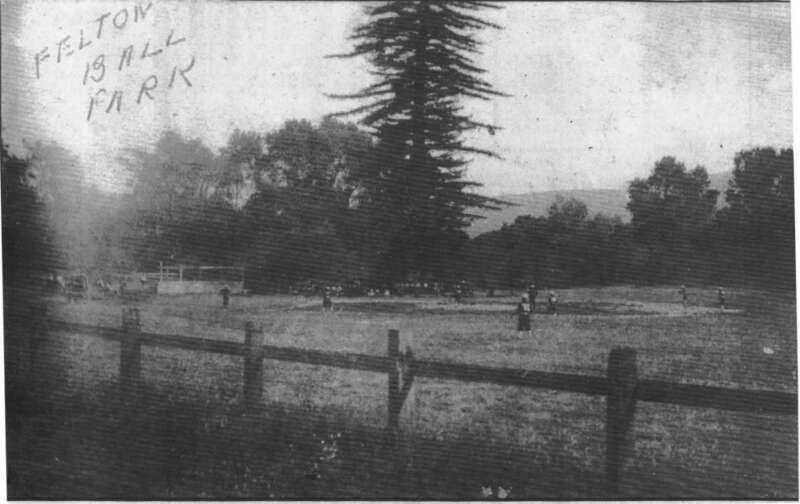 1899, old Felton Ball Park (now Felton Bible Church) and significant old Redwood tree that is part of Felton Grove/Felton history since the 1800’s. 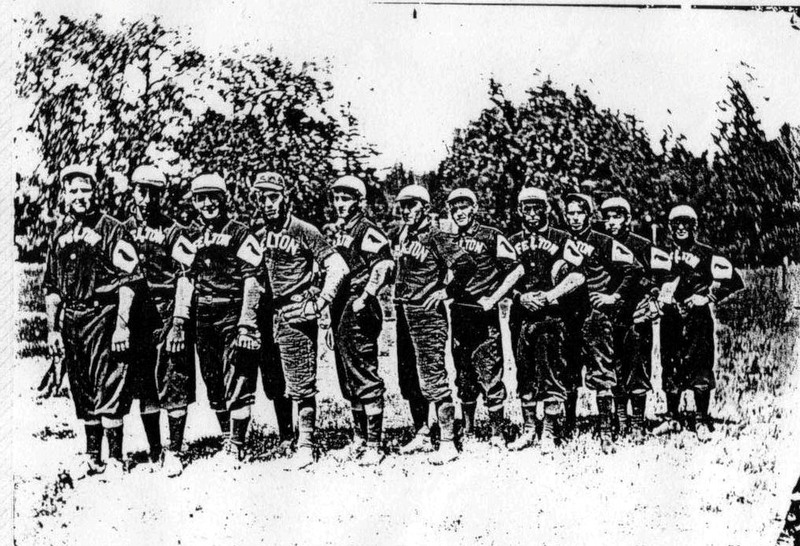 Last 2 photos of team circa 1908. George Ley, manager. 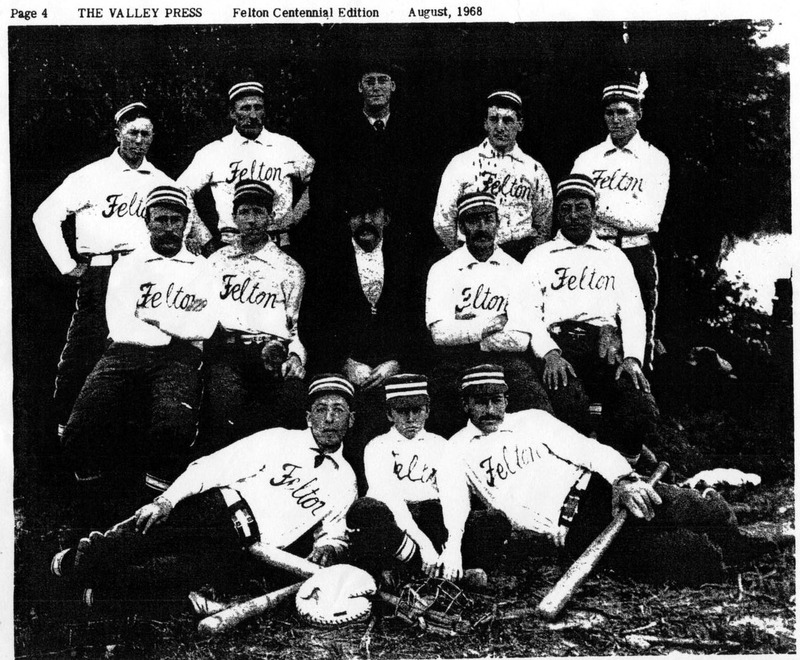 Felton Woodpeckers baseball team circa 1899. 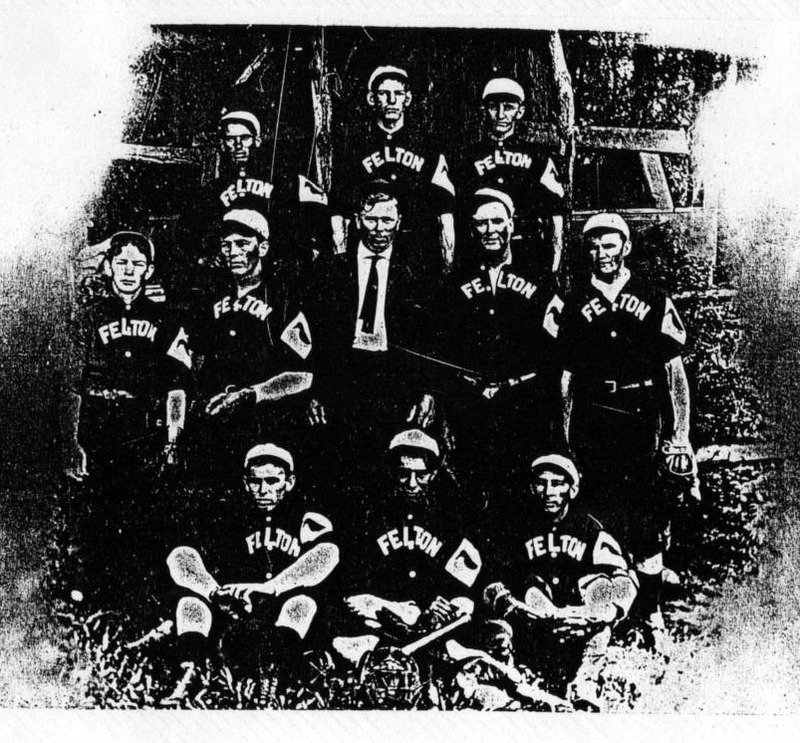 Felton Ball Park circa early 1900’s. 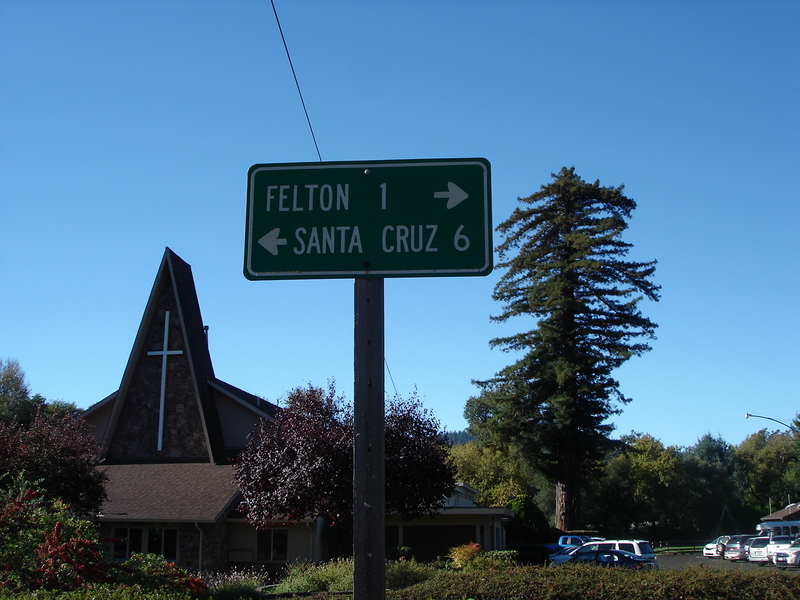 Felton Bible Church at corner of Graham Hill and E. Zayante Rds. Photo by Vicki Wees 2013. 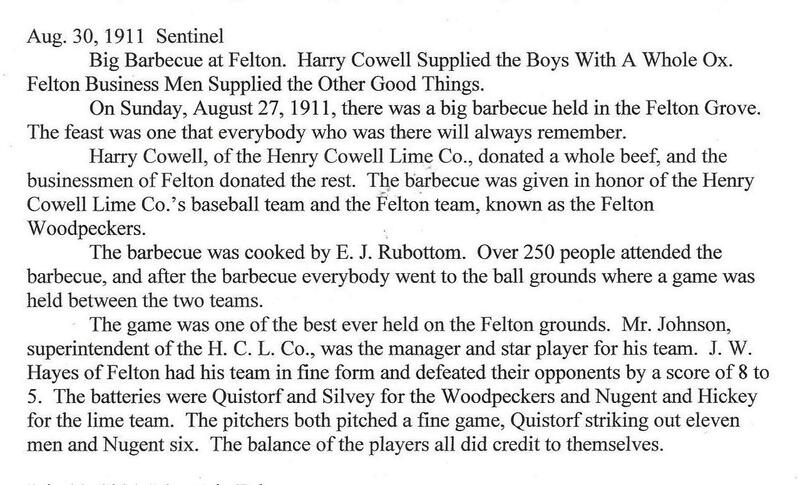 This entry was posted in 1800's Felton Grove/Camp Felton, Baseball, Felton Grove History and tagged Baseball, Felton Ball Park, felton woodpeckers. Bookmark the permalink. Thanks Carole! I’m not sure a baseball team would want to be called the Woodpeckers these days. What do you think? That big redwood at the church is in so many old photos, it really has helped me identify things from the early 1900’s on.